Manuel Billeter is the cinematographer behind the lens of Jessica Jones, Luke Cage and the upcoming Iron Fist and he joins us to discuss the cinematography of comic book TV shows. Comic book television shows have been on the rise with no signs of slowing down and two of the stand-out shows in this genre were shot by today’s guest. 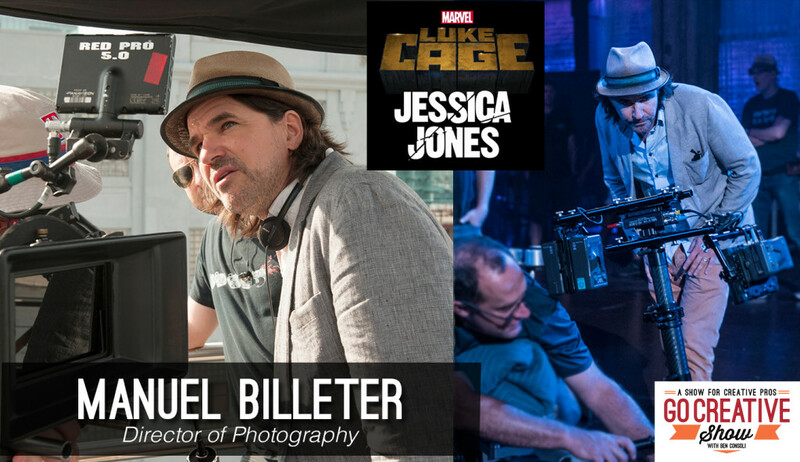 Manuel Billeter is the cinematographer of Jessica Jones, Luke Cage and the upcoming Iron Fist, and he joins us today to discuss his techniques for bringing these characters to life. his lighting, camera, and lensing choices and even a little sneak peek into the upcoming Defenders. A sneak peak at Defenders?